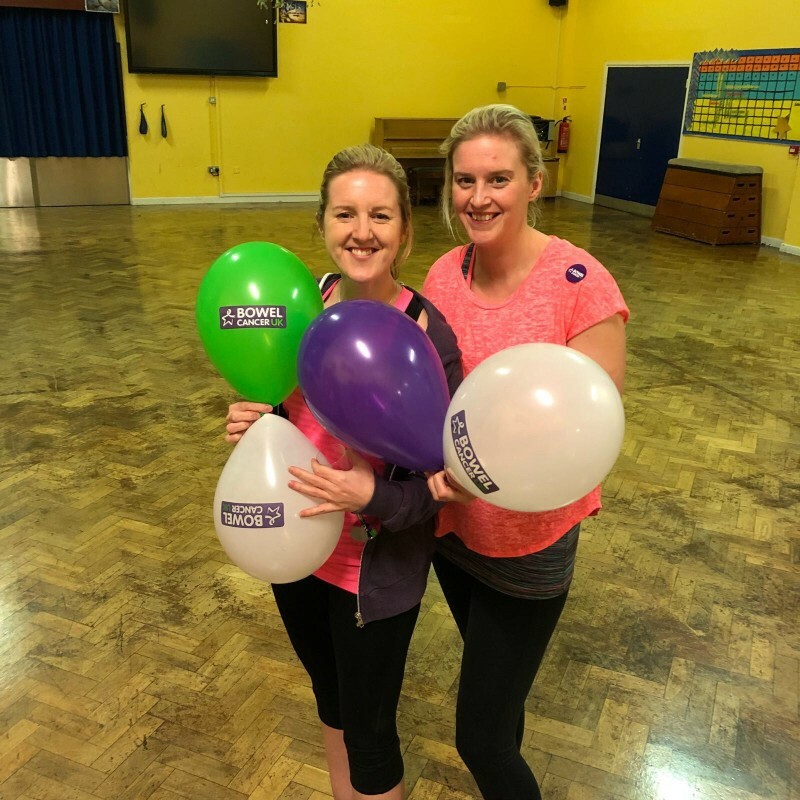 A beautiful young Mum, Anna, in our school class has stage 3 bowel cancer and so as a class we wanted to raise money for Bowel Cancer UK and Beating Bowel Cancer. We started by giving out 30 fundraising boxes to give out to each parent in the class to keep at home and fill with change to help raise money. We then got together a small team, and put our heads together and came up with idea of a fitness boot camp for the parents in the school hall! The Boot Camp event was a huge success. The one ‘brave’ man who came along was Rodney, a personal trainer from Colets Gym in Thames Ditton who gave up his evening to train a hall full of mad mums as a freebie. One of the Mums did all the catering as a donation and another Mum made some wonderful health drinks for us all for after. We raised approximately £600 from the evening, and just before Christmas we collected in all the donation boxes from the parents, bringing our grand total to £942.96!